The Solstice Star Reading + Rite is not a typical tarot experience, but a call to engage your magick. If you're not ready to commit to your magick, the Solstice Star is probably not for you. But, if you're ready to dive into to the depths of who you are now and who you are becoming, then The Solstice Star Reading + Rite is the tool for you! AIR : The card of intention. The card of air looks at your goals and what it is you intend to become helping you to find clarity on your journey. FIRE : The card of release. The card of fire is about releasing that which no longer serves you so that you can free up space to invite in that which you truly desire. WATER : The card of dreaming. The card of water engages with your dreams helping you to dream deep and big and wild. EARTH : The card of manifesting. The card of earth recommends actions you can take to develop your inherent gifts and make your dreams a reality. SPIRIT : The card of weaving together. The card of spirit pulls the whole reading together, shining a light on the wisdom you need to know about yourself moving forward. Each card will also include a question for you to consider whether through meditation, journaling or your preferred form of self-reflection. 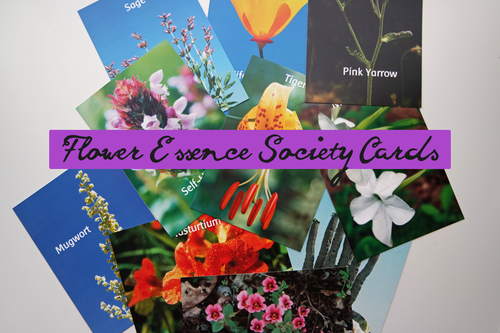 Along with the elemental cards of the Solstice Star, I will pull five additional essence cards (you can either choose the Bach Essence Cards or the Flower Essence Society Cards and can see a sampling of each below) for 10 cards total in your reading. These are essences that will support your ability to integrate the wisdom of the five elemental cards as well as alleviate stresses, emotional worries, and lack of trust in your own skills and abilities. 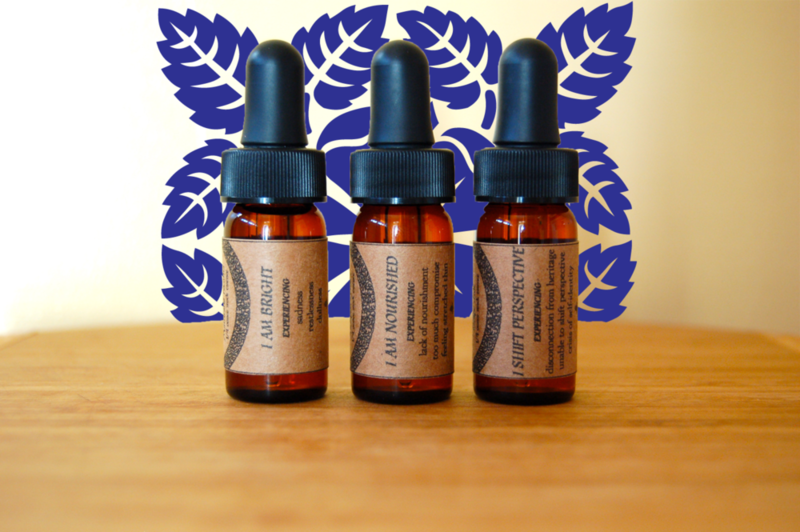 You’ll be able to purchase these essences yourself through your local holistic food shop or online if you choose to use them. I’ll include some of my favorite online resources for finding essences as part of your PDF package. The Solstice Star is not just a reading but it is also a ritual incorporating the insights of the cards cast into a series of rituals lasting for five cycles of the Moon or roughly five months. You’ll receive a rite for each Full Moon incorporating the wisdom of your cards along with your recommended essences and, of course, your unique magick. There will also be recommendations of simple daily exercises to keep connected with your magickal flow. A 1000 word minimum analysis of your cards from a reader with 20 years of experience. Five Full Moon Rituals for you to perform over a five-month period as well as information on the unique magick of the next five Full Moons based on the sign of the zodiac they'll be in. Simple daily exercises to keep connected with your magickal flow. I can't wait to read your cards and help you start your Solstice Star journey of magick! Get some magick for free! We respect your privacy and will not share your information with anyone including ghosts of holidays past. Thank you for signing up for Magick Mail! The digital owls have been dispatched and you'll receive your first round of magick soon! 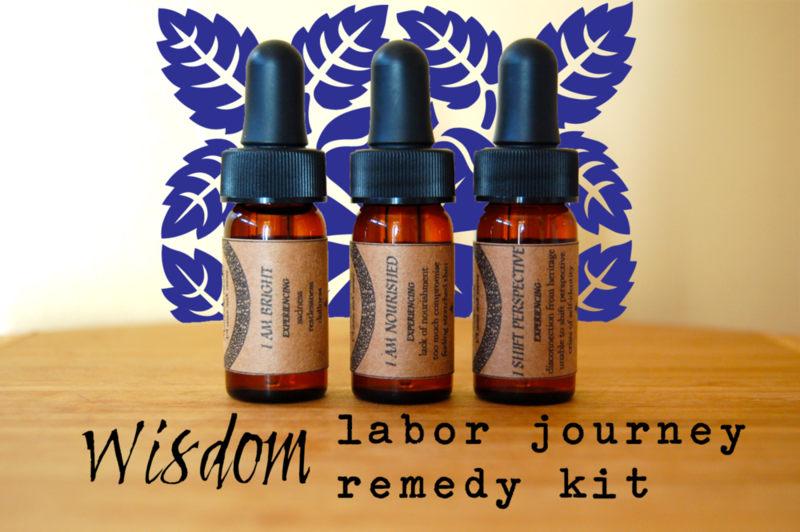 Whether you've been following my blog since the Apothecary (5 years this summer!) or have just found your way here (welcome! ), you might already know that I sold remedies in-person and online for nearly all of that time before retiring my remedy shop last October. Closing my remedy shop has been a great change of pace and allowed me to not only focus on my online course offerings and experiments in remedy-making, but getting back to teaching in person, including co-teaching a five month apprenticeship program this past spring. But, gosh, sometimes I miss sending packages full of herbal magick out into the world. So, because I think you're pretty swell and I know that many of you have been wanting another chance to purchase a few special remedies from the Apothecary, I'm offering a limited-run Tarot Stella Remedy Kit. You see, clever friends, the art of tarot and herbalism have gone hand-in-hand for me since the beginning. I've been reading cards for nearly two decades and working with herbs magickally for just as long and medicinally for over half that time. I always love the opportunity to combine both of them which is why I'm also building a brand new course exploring the world of tarot and herbalism (more on that adventure later this summer...). The kits are called Tarot Stella in homage to one of my favorite cards in the deck - La Stella or the Star - which embodies the mindful wonderbliss I hope these kits will help you access. It is from my love of cards, plants, and stars that I'm offering the Tarot Stella Remedy Kit. I’ll read your cards to offer guidance with the goal of helping you connect with your inner wisdom and plug into, change-up or release current patterns of energy in your life. Based on your desires for where you want more clarity in your life, I’ll pull three cards to help illuminate your path. I have been reading tarot cards for myself and other for nearly two decades. My reading style includes the mundane and magickal, focusing on the energy blockages and flow in your life whether they show up in your professional or personal relationships, spiritual desires, life goals, personal and business development, healing needs or your most brave dreams. I use a variety of decks in my practice, so I will intuitively choose the one that feels the most excited with connecting with your story! I’ll also take a look at your birth chart - specifically your Sun, Moon, and Rising signs - and choose three flower or gem essences to help you to tap into the power of your personal stars based on your inherent gifts and the energy of the reading. I think the cards act like a map for your personal landscape and the essences are your starlight compasses guiding you home. The World Spirit Tarot says "hiya!" You’ll receive a digital 500 word minimum description and interpretation of the reading, along with three 1/2 ounce stock bottle essences with beautiful labels, descriptions of your essences (including essence affirmations), and directions for use. Readings will be completed within 5 business days and packages will be shipped out within 2 weeks of purchase. I use recycled boxes and paper for my packages and handstamp the boxes with love and magick. Upon payment via a super secret store link the timeframe for your reading will begin and I’ll get in touch with you about your reading. I look forward to connecting with your sweet spirit! Each month I'll post the availability of the Tarot Stella Remedy Kit via my instagram account. It'll be offered on a first-come-first-serve basis based on who comments first. If you want a extra-special head's up when the post will go up you should sign-up for my Magick Mail where I will send at "head's up!" mailing before my instagram post. Price includes S+H (both US and International shipping available). Make sure to read my disclaimer page before signing up so that you're empowered to make an informed choice. Follow my instagram to find out when the next batch of Tarot Stella Remedy Kits are available. If you sign up for my Magick Mail I send a "head's up!" email moments before I post on instagram, giving you an advantage! The Tarot Stella Remedy Kits promise to be a great adventure and I hope you'll join in, clever one! P.S. Want a peak at my favorite tarot spread for connecting with the magickal and healing world of plant allies? Come this way! Thank you so much, clever friend! Magick Mail is coming your way!